The Katy Kat Collection will hit shelves in July 2016. I might be hyperventilating right now. I cannot contain, nor express, my excitement for what just landed in my email: the official announcement revealing CoverGirl’s collaboration with their own Katy Perry to create the new Katy Kat Collection. At the risk of sounding basic, I just can’t even right now. Even before becoming a CoverGirl herself, Katy became a beauty icon early in her career for her bold style and daring color choices. Now, she’s bringing that flare to drugstore shelves with the initial launch, which includes 13 lipsticks and four mascaras with shades curated by the pop star, along with names she helped create to pack her personality into each tube. 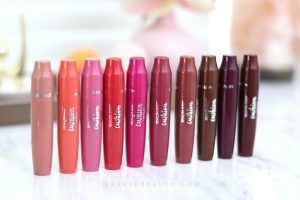 The new CoverGirl Katy Kat Matte Lipsticks reflect what Katy Perry likes in a lipstick herself: a matte finish with just a touch of sheen, and a moisturizing formula. This demi-matte lipstick is supposed to deliver bold color with a velvet finish without drying out the lips. 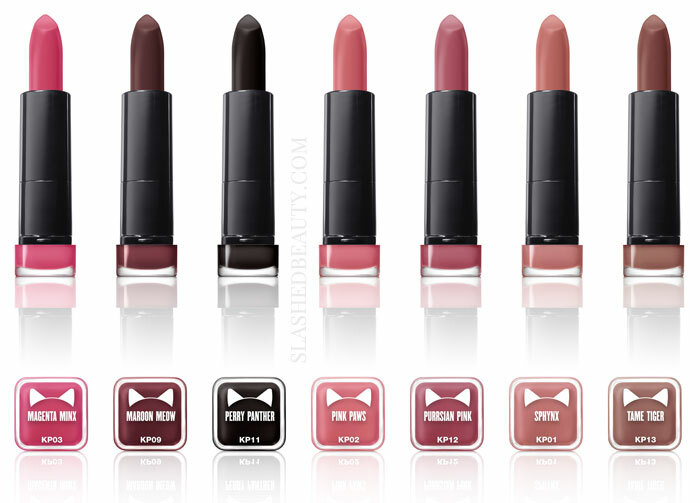 The shades range from wearable neutrals, to whimsical purples, to a show-stopping black. These types of out-of-the-box shades are revolutionary for the drugstore, and I’m so excited to see what trends they set. 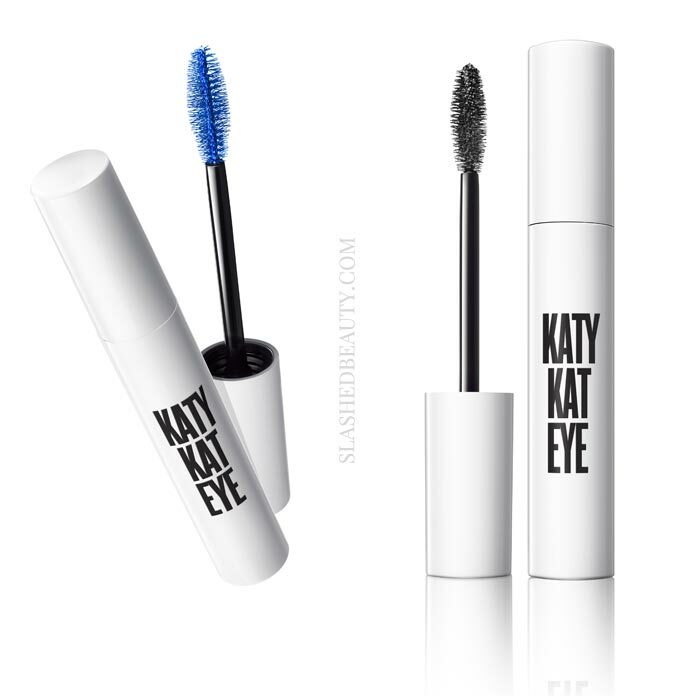 The CoverGirl Katy Kat Eye Mascara is a longwear formula that comes in the traditional Black, Very Black, and Very Black Waterproof shades… but also, a bright blue! The Perry Blue shade is the first for the brand, even though colorful mascaras have been popping up more recently. The formula is made from a special blend of waxes for a wet application that delivers intense, sculpted dark lashes that won’t smudge. The brush looks rather dense with both long and short bristles to comb and separate the lashes. Katy’s eyes are one of my favorite features about her, so I’m excited for this one! You’ll start seeing the entire line in stores beginning July 2016. The lipsticks specifically are available for pre-order through Walmart, and the first 100 to preorder get a lipstick signed by Queen Katy herself! As you can tell, this is the most excited I’ve been about a makeup launch in a very long time. I am going to be hounding these as they pop up, as I’m sure many others will be too. 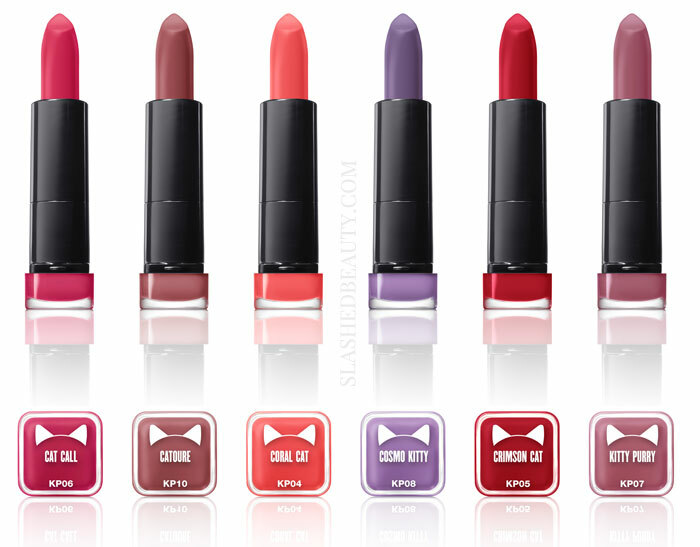 What shades are you most excited for in the Katy Kat Collection? 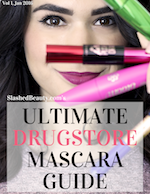 Eh, not a huge fan of Katy, but I’m excited to see a black lipstick at the drugstore! I also really REALLY like the design of the mascara. I may have to pick a few of these up. Cosmo Kitty, Coral Cat, Cat Call, and Kitty Purry have my attention. It’s always nice to see a drug store brand come out with a black lipstick, so I’ll be checking out Perry Panther, for sure. Oh yeah, Perry Panther is the one I really want to try!!! I snagged Cosmo Kitty and Kitty Purry at Walgreen’s, and they’re going back. They smell and taste really heavily of perfume, and the taste does not go away. I’m not thrilled with the quality, either. They’re a little waxy to me. Oh NO!!! I just got mine in the mail so I’m curious if that’s a problem across the board or perhaps they rushed a bad batch out. I hope yours are better. Usually I do OK with CoverGirl, and the perfumey taste dissipates quickly. Maybe I just got a batch with too much fragrance?